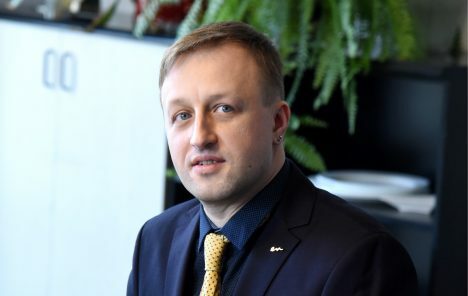 Commenting on the request voiced by Latvian Journalists Association, journalists, as well as the request from the National Electronic Mass Media Council to hold another personnel selection process, Giels said in an interview to Latvijas Radio on 4 April that he never once considered stepping down and that he has full confidence in his ability to lead LTV. Without a doubt, working in a situation when LTV employees are against him will be difficult. «It will be difficult convincing colleagues of my abilities and create for them a beneficial, independent environment, as well as funding for development. I want to be their colleague, not their boss,» said the new chairman of LTV. Commenting on journalist Gundars Rēders’ personal announcement during Viens pret vienu show, urging National Electronic Mass Media Council to review results of the personnel selection process, Giels said voicing personal opinions in a public media is a violations of the code of ethics. He plans to discuss this with the journalist after his approval in the new post 15 April. He also said the invitation by political parties to review results of the personnel selection process represents political pressure, which is unacceptable. Political parties, however, have not invited him for discussions. Giels adds he has never been a member in any political parties. LTV board chairman stresses that his first order of business will be internal audit in order to assess the ability to optimize funding and invest more money towards improvement of technologies.